Finite Element Program - Logisterion. "TriFlex" Pipe stress analysis course - AAA. "Piping stress analysis course" - Twickenham college of Technology. "Piping design, analysis and fabrication" - The Center for Professional Advancement. Pipe stress analysis (on shore, off shore, buried and above ground). To develop interfaces with existing software. Reactor internal and external piping systems (960 °C). On-shore Crude Oil Exploration and Production. Offshore Gas Exploration and Production Platforms. Governmental Assessments and Approval of Pipelines and Piping Systems. Former member of "Niria" (The Dutch engineering association). Former member of "CIAD" (Association for Computer Integrated Design). Mr. Voorhaar is a senior expert in the field of pipe stress analysis. His knowledge not only covers high temperature and high pressure piping systems, but also pipelines for oil & gas transmission, distribution and district heating systems. Over the years he improved his ability to develop new calculation methods, if necessary, for non-standard problems. The notified bodies involved have accepted these new methods. Pipe stress analysis for the feed study of the FPSO for the Karish & Tanin field for Energean. 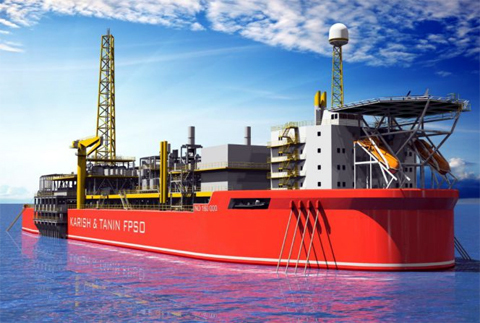 This will be the first FPSO ever to operate in the Eastern Mediterranean. Pipe stress analysis for the conversion of the existing FPSO Petrojarl I for Teekay. Petrojarl Production AS is proposing its FPSO to Queiroz Galvão in Brazil for a lease term of 5 years on the Atlanta Field. 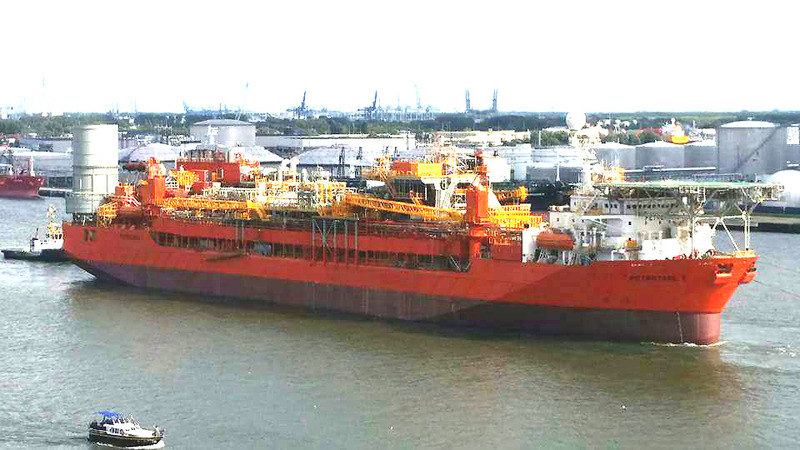 The FPSO Petrojarl I has been classed by Det Norske Veritas (DNV). Pipe stress analysis for the repair of the damage of the high pressure steam system (515°C 110.5 bar) caused by a reaction between the catalyst and ethylbenzene that led to pressure in the reactor of the plant, two explosions and a fierce fire. Pipe stress analysis for the conversion of the BES owned FPSO Haewene Brim for the Brynhild development project. The Brynhild development project is a subsea field development project on block 7 on the Norwegian Continental Shelf. The Brynhild subsea field will be tied back to the BES owned Floating, Production, Storage and Offloading Vessel (FPSO) Haewene Brim, located in the Pierce subsea field, UK blocks 23/22a and 23/27. Pipe stress analysis for the Marine Well Containment System. The MWCS is build for the purpose of rapid response to a possible damaged sub sea well operating in the Gulf of Mexico. The MWCS is specifically designed to capture hydrocarbons from a damaged well without significantly increasing wellhead pressure to avoid further damage to well integrity. The MWCS is designed to capture, store and offload up to 100,000 barrels of fluid per day from a flowing well, and is capable of flaring 200 million standard cubic feet of natural gas per day. The MWCS is designed to operate in deep water in a variety of Gulf of Mexico (GOM) metocean conditions, a range of reservoir characteristics, and a variety of well bore failure scenarios. The sub sea system capacity can be expanded using equipment and vessels of opportunity. Pipe stress analysis of the top side and marine piping systems for the conversion of the existing FPSO Glas Dowr. The BES owned FPSO will be located in the Kitan Field, a new oil discovery in an area of the Timor Sea jointly administered by Timor-Leste and Australia. The Kitan Field is located in the permit JPDA 06-105, some 500 km off the Australian coast. Pipe stress analysis for the External Turret Mooring System (ETMS) for an Floating Storage Unit (FSU) located in the Persian Gulf for the STX Offshore & Shipbuilding Co.
Consultation offshore after water hammer damage in the GRE sea water injection header of the BES owned FPSO Aoka Mizu for the Ettrick Field Development. Site visit offshore for excessive deformation of the expansion bellows in the firewater ring header of the FPSO Aoka Mizu. Pipe stress analysis for the firewater ring header of the FPSO Aoka Mizu and consultation after problems found out when commissioning the fire header. Pipe stress analysis of deck piping for stresses created by Hogging and Sagging of the FPSO Aoka Mizu. Pipe stress analysis for the piping systems for FPSO Aoka Mizu topsides and turret. The FPSO is based on the Bluewater owned new-built ship “Aoka Mizu” for the Ettrick Field Development of Nexen Petroleum UK Ltd. The Ettrick Field is located in blocks 20/2a and 20/3a on the UK Continental Shelf of the North Sea in a water depth of approximately 115 metres. Pipe stress analysis of the SPM system of the Hindustan Petroleum Ltd (HPCL) Crude Oil Receipt Facilities Project off Visakhapatnam Port, India. Pipe stress analysis of 3 CALM buoys including PLEM, mooring and offloading facilities. Pipe stress analysis of the seawater lift pipe spool for the BES owned FPSO Haewene Brim of Bluewater located in the North Sea, km east of Aberdeen. Development of a procedure for hot and odd bolting. The procedure describes a manner of safe replacement of bolts in flanges during production. Pipe stress analysis for the piping systems in a Single Point Mooring system (SPM) for a Floating Storage and Offloading facility (FSO) of Luk Oil, to be located in the Yuri Korcharin field in the northern sector of the Caspian Sea, Russia. Pipe stress analysis of the Turret Access System (TAS) for an FPSO of BP located at the Skarv field in the North Sea offshore Norway. Pipe stress analysis of the Gas Import Project. This project forms part of the BES owned FPSO Bleo Holm modifications. Pipe stress analysis of the KOC CALM buoy 23/24 piping for Kuweit Oil Company (KOC). The CALM buoy will be located in the Persian Gulf and will serve as an offshore loading terminal to export crude oil and bunker fuel from the KOC tank farm. The CALM buoy will be located in approximately 26.5 meters water depth. Pipe Stress analysis of the process and utility systems for the External Turret Mooring System (ETMS) of the Floating, Storage and Offloading vessel (FSO). The Abu cluster field is located 320 kilometers offshore Terengganu, Malaysia in a water depth of approximately 61 meters. Pipe stress analysis of the buoy piping for ADOC. The Catenary Anchor Leg Mooring (CALM) Buoy System is installed West Northwest of Abu Dhabi City. 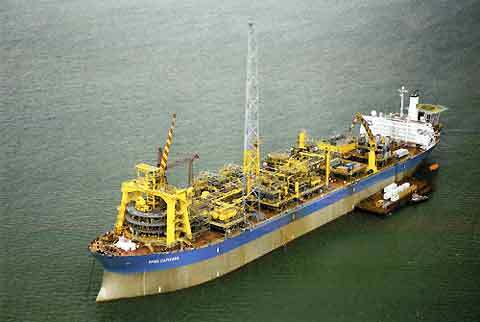 FPSO “Capixaba” for production of an oil field in the Espírito Santo Basin, offshore Brazil. This Floating Production Storage and Offloading facility “Capixaba” consists of a converted tanker and allows direct berthing of export tankers. Static pipe stress analysis with Caesar II version 4.50 including ship movements. Extended well test system (EWT) for the development of the oil and natural gas reserves in the Caspian Sea-Block1 offshore Turkmenistan. Development of website for the ' Stichting Natuurreizen' a foundation for Traveling to natural areas famous for their special geological or biological significance. Development of website for the Birdhospital at Naarden. Development of website for Taxatie-OG. Development of website for the Xbloc® an innovative interlocking armour unit designed to protect breakwaters and shores over the long term and in extreme conditions. Multimedia presentations for Delta Marine Consultants made from old analogical video reports. Development of an interface between P10 and Caesar II. The purpose of this interface is to use the old input file of P10 to create a neutral input file for Caesar-II. Lecturer at the seminar "Dynamic Analysis with Caesar II". Development of calculation module for buried transport lines for Caesar II and P10 according to NEN-EN 3650 and for crossings of major public works according to NEN 3651. Consultancy for in-house computer programmes of CEA-systems in relation to the euro-codes (PED). HVC Alkmaar (The Netherlands): Domestical Waste Treatment Plant extension. Static pipe stress analysis of boiler feed water lines and high pressure steam lines (412°C at 48 bar). Pipe stress analysis programme used was P10 version 5.01. These calculations were performed at the Tebodin office in Beverwijk. PED certifications by Stoomwezen. Kisama Chemicals at Veendam (The Netherlands): Autoclaves system for hydrotalcite plant extension project. Static Pipe Stress Analysis according to RToD D1101. PED certifications by Stoomwezen. Time history / Spectrum analysis of slug loads during two-phase flow conditions. Elsta Terneuzen (The Netherlands): Co generator project. Assessment of pipe stress analysis performed with Triflex for AES because a crack in the pipe occurred in the steam de-super heater near the water injection. Design conditions were 510°C at 108 bar. It was proven to be caused by thermo shock. HVC Alkmaar (The Netherlands): Pipe spec calculations of steam and condensate lines for Domestical Waste Treatment Plant. Certifications by Stoomwezen. Seconded to Teijin Delfzijl (The Netherlands): Twaron project. Assessment of pipe stress analysis packages on site. The stress calculations were performed by local pipe stress engineers using P10. AKZO Delfzijl (The Netherlands): Methanor plant. Flange leakage calculations using AKZO procedures. These calculations were performed at the Tebodin office in Maastricht. NAM Boerakker (The Netherlands): Static pipe stress analysis of a partial buried pipeline. This analysis was performed for Fluor Daniël Bergen op Zoom using Caesar II version 4.30. The soil modeller of Caesar was used in combination with soil data calculations in Excel. Huntsman Botlek (The Netherlands): Polyols plant. Pipe spec calculations and rerouting of piping. (140°C at 10 bar) Certifications by Stoomwezen. Gasunie: Static pipe stress analysis and water hammer calculation using the time history dynamic analysis of Caesar II version 4.30.
pipe stress analysis with P10 version 5.01 of various steam and condensate lines (165°C at 6 bar). Barendrecht-Ziedewij Development project for NAM. Interface of gas treatment plant at Barendrecht with buried transport line. Static pipe stress analysis and dynamic slug force analysis with Caesar II version 4.30. Spijkenisse Cluster Development project for NAM locations Reedijk and Oud-Beijerland. Static pipe stress analysis and dynamic slug force analysis with Caesar II version 4.30. Interface of buried 8" natural gas pipeline (-20°C – 80°C at 115 bar) with production plant piping. Material used was Duplex and X80 13Cr. Westland Cluster Development project for NAM location Gaag. Static pipe stress analysis and dynamic slug force analysis with Caesar II version 4.30. Interface of buried 12" natural gas pipeline (-20°C– 97°C at 115 bar) with a 450 mm diameter HDPE jacket with production plant piping. Material used was Duplex and X80 13Cr. Pumpstation for Waterbedrijf Europoort at Berenplaat. pipe stress analysis of pump hook-up system and interface with buried pipeline. (10°C - 25°C at 4 bar) Programme used was Caesar II version 4.20. Increase storage facilities at Refidomsa (Dominican Republic) for Refineria Dominicana de Petroleo S.A.
NAM GBI at Anjum (The Netherlands): Debotlenecking of NGL production plant. Dupont de Nemours at Dordrecht (The Netherlands): Upgrade of Teflon homopolymer C8 recovery plant. Exxon Chemical Belgium at Meerhout (MPP): Expansion of Low Density Polyethylene plant. (Design temperature 260°C at 379 bar). Delrin Chemical (Dupont) at Dordrecht: Re vamp vent scrub-system. NNI, the Dutch Institution for Standardization. Adjusted the Dutch National standard NEN 3650 to comply with the European standards. Sint Vincent (Caribbean Islands) Hurricane 'Lenny' Damage at jetty and cruise terminal buildings: Multimedia Presentation merging model tests and real life recordings. Integrating FEM-calculation results in Internet Web Site showing graphical animations. Development of Java Applets for Homepage. Started a technical discussion via internet on some items of a national standard. This resulted in an official review of that particular standard by the Dutch Institution for Standardization NNI. Studied Perl for Linux and Delphi for Windows. Gist Brocades at Delft (The Netherlands) pharmaceutical plant: Stress analysis for Zor F project. Audited by Nol Gresnigt of the Dutch Council for Accreditation (RvA). The Dutch Council for Accreditation supervises organizations engaged in assessments (e.g. certification bodies or laboratories). The Council for Accreditation is entitled to audit such organizations for compliance with accepted criteria and officially recognizes or accredit such an organization if it has been found competent. Stoomwezen was engaged on the process to comply with EN-45004. Shell Moerdijk TGI Units 100 and 200. Akzo steam lines for chemical plant. DSM Sittard NAK 3 LOKU. Dow Chemical Terneuzen Revamp LHC. Dow Chemical Terneuzen "Aromaten II". Berkel centrale Burculo (Modification of Power production plant). ASME NC Code Case N-47-32 par. T-1411. WKC de Grift (Combined Heat and Power production plant). WKC Eindhoven (Combined Heat and Power production plant). WKC Bergen op Zoom PNEM (Combined Heat and Power production plant). WKC Moerdijk EPZ (Combined Heat and Power production plant). WKC ROCA 3 (Combined Heat and Power production plant). Checked, reviewed and authorized the use of the pipe stress analysis programme P10, version 4.0. Development of computer programmes in Pascal for the assessment of pipelines and piping systems. 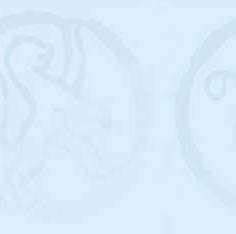 These programmes show animated pictures of the calculated results in conjunction with the allowable values. Development of computer programme to calculate wave and current loadings for off-shore pipelines and risers. This programme can optional include a velocity dependent drag coefficient and delta-stretching for current velocities. It is completely based on the theories of Skelbreia, Sarapkaya and Morrison. Development of calculation programme for flange connections. This programme uses a database for the standard dimensions of flanges and bolts. Improvement of personal pipe spec's computer programme. This programme calculates the required wall - thicknesses for a range of pipe sizes for a pressure - temperature range. The material data and pipe dimensions are automatically derived from a database. Improvement of personal calculation programme for weldolets. This programme produces the calculation results according the stoomwezen rule RToD-D0501 and Bonney-Forge. It also produces a scale drawing of the weldolet-connection. Development of various other computer programmes. Eneco Hot water transport crossing of the river "Nieuwe Maas" at Rotterdam. NAM Pernis gas transport line to Shell Complex. NAM Botlek an 8"insulated Duplex Stainless Steel, high pressure (110 barg) and elevated temperature (80°C) gas pipeline and detailed engineering for a 3" carbon steel water condensate pipeline. They were realised in crowded pipeline corridors in the Rotterdam harbour area. NAM Botlek mini cluster: dynamic slug force calculation for transport line. NAM Platform AME-1 / Well AME-107 hook-up. NAM Anjum (NGL production plant). NAM Ziedewij Norg-South Development (NGL production plant). Elf Petroland Westellingwerf (NGL production plant). Elf Petroland Well-site Noordwolde (NGL production plant). Amsterdam hot water transport line. DHZ at Brakel (The Netherlands) booster pump station for drinking water. Xytel Houston modular H2S unit for Elf Atochem Pernis (The Netherlands): Pipe stress analysis. The unit consists of a 3"- 4" jacketed piping system (core pipe 550 °C 15 bar, jacket pipe 160 °C - 5.2 bar). Certifications by Stoomwezen. Gist Brocades at Delft (The Netherlands) pharmaceutical plant: Stress analysis of centrifugal dryer. 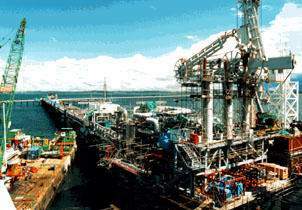 Philipinas Shell Petroleum Corporation (PSPC) Tabangao (Philippines): Pre-design of jetty with loading facilities for crude oil and LPG. Shell Eastern Petroleum at Pulau Seraya (Singapore): Tender assistance of Interbeton for a jetty with loading facilities for chemicals. F3-FB-1P GBS for the NAM, the first Gravity Based Structure in the Dutch Field of the North Sea. Pipe Stress analysis with P10 (Pipe Stress Programme) for the 16" oil export riser, 24" Nogat gas riser, J-tube and 10", 12", 14" and 16" future risers. Wave loading calculations according DNV, Sarapkaya and Morrison in Lotus 123. Developed special application programmes for the GBS pipe support loadings with Pascal. Developed Fatigue analysis programmes in Pascal, working in conjunction with P10. Finite Element calculations for riser clamps. Developed interface between P10 and ASAP (FEM programme). Earthquake and dynamic response analysis with ASAP (FEM programme). Documentation for variation orders and claims. Certifications by Stoomwezen and Det Norske Veritas Certification. Philipinas Shell Petroleum Corporation at Sendirian Berhad (Brunei). Jetty with LNG loading facilities. Pipe stress analysis and design of alternatives for the successful tender design of BLNG in which no expansion loops were allowed. Expansion joint design. Loading arm design. System calculated for -172 °C 19 bar. The actual project was a carbon copy of this tender design. NAM Hengelo (The Netherlands). LNG metering station: Pipe stress analysis. Gist Brocades at Delft (The Netherlands) pharmaceutical plant: Stress analysis for piping system. Metablen at Borsele (The Netherlands): Pipe stress analysis for chemical plant and assistance at site during construction. BP Exploration at Botlek (The Netherlands): Calculations for material specifications; stress calculations for piping systems - 52 °C 280 bar. Certifications by Stoomwezen. Tiofine at Botlek (The Netherlands) Chlorination Plant: assistance with stress problems at site. G.& H. Dordrecht (The Netherlands): FEM calculation of steel structure for acoustic building around compressor. Shell Moerdijk (The Netherlands): P10 calculation for pump mal function. APV Houten (The Netherlands): Stress analysis for vessels & heat exchangers. NKF Delft (The Netherlands): Calculations and requisitions for pressure vessels. Calculations for capacity, line sizing and pipe stress. BIC Arnhem (The Netherlands): Development of application programmes in Pascal with DBase III structure. Development of various calculation programmes (in Pascal) with automatic release of Autocad drawings. Dowlex project Terneuzen (The Netherlands): Low density polyethylene plant. Stress analysis. Certifications with Stoomwezen. Stress calculations of devotalizer for nozzle loadings using WRC Bulletin 107 (Bijlaards method) and British Standards BS 5500. Calculation of aluminum silos and hoppers according Von Schapitz and DIN 1055. Development of material specifications for order of silos. Determine heat exchanger baffle position with TEMA. Used 2D computer drafting programmes "Dragon" and "Schema" and 3D CAD programme "PDMS" for various tasks. Calculated prismatic septic tank using Roark's formula's. Assisted material section in development of specifications for valves, pipes etc. for the 3D CAD programme. (modeling). Latex project Terneuzen (The Netherlands) Stress calculations for nozzles. Tyrin project Stade (Germany): Chlorinated polyethylene plant. Nozzle orientation drawings. Garessio (Italy) Plant. Calculation of storage tank for max. allowable load on conical roof. Assigned to Terneuzen (The Netherlands): Energy conservation project of Styrene III plant. Pipe stress analysis of 1000°C Steam system and furnace coils. Using P10 computer programme of Logisterion (fixed format) giving 2300 input-lines. Reactor internal "hairpin" piping analysis. Piping material used was HK20. Certifications by Stoomwezen. L.P.G. Storage Terneuzen (The Netherlands) Minus 52 °C piping systems. Certifications by Stoomwezen. Upgrade ethylene oxide plant at site. Performed design, stress analyses, drafting and material handling. For Petrokemya (Saudi Arabia): Styrene plant. Calculations for pipe specifications for world wide usage. Dowlex project Terneuzen (The Netherlands): Low density polyethylene plant. Stress analysis of all on plot piping including jacketed piping systems. Certifications by Stoomwezen. Tessenderlo (Belgium): consultancy at site. Krk (Yugoslavia): Polystyrene plant of joint venture with DOW-INA (DINA). Stress analysis of all on plot piping according to ANSI B31.3 & B31.1. Yanbu (Saudi Arabia) for Aramco. Natural gas project. Stress analysis of on plot piping of -20 °C. Assigned to Houston (Texas): Pipe stress analysis of Natural gas transport lines. Deminex (offshore) platform Dharan (Saudi Arabia). Water storage project and transport lines. Assigned to Abqaiq (Saudi Arabia) for Aramco. Abqaiq Fire Damage repairs. At this major event four 80000-barrel (13000 m3) spheroids have been exploded. This plant had to be operational as soon as possible to maintain the world oil price. Study, Plot plan and Piping layout design at site. Abqaiq (Saudi Arabia) for Aramco: Stress analysis of above and underground piping systems and transport lines up to 48" size. Dynaflex (UCC) and Autoflex computer programmes. Development of computer programmes for pipe stress analysis based on Marbec's theories in combination with Frank Mac Kenzie's theories. Assigned to Dharan (Saudi Arabia) for Aramco: Pipe design of water treatment plant with electro dialysis units and filters. Dharan (Saudi Arabia) for Aramco: Design of Cooling Tower with redwood filling. Ras Tanura (Saudi Arabia) for Aramco: jetty with loading facilities for petrochemicals. Assigned to Khursaniya (Saudi Arabia) for Aramco. Design and construct of Desalter plant and secondment to site to manage completion of detailed design. Assigned to Beirut (Lebanon) for Aramco: Domestical air conditioning units and cooled water distribution net for Dharan. Set-up of plot plans, piping layouts and section, material handling and requisitions, checking of all piping documents. Design of booster pumpstation for TAP-line (Trans Arabian Pipeline). Ju'aymah (Saudi Arabia) for Aramco: grass roots plant design . Abqaiq (Saudi Arabia) for Aramco: Design and construct of NGL plant. 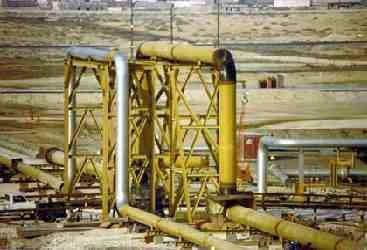 Khurais (Saudi Arabia) GOSP (Gas Oil Separation Plant) for Aramco. Hofuf (Saudi Arabia) GOSP (Gas Oil Separation Plant) for Aramco. Dharan (Saudi Arabia) Storage facilities. Sprinkler system design and fire water distribution according to NFPA standards. 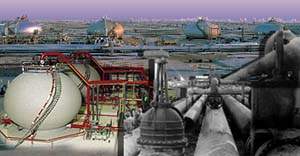 Design and drafting work including materials for water treatment plants, gas oil separation plants, pipelines and booster pump stations, gravity and pressure sewers. To coördinate draftsmen when necessary. To coördinate piping group on multi services projects. Marbon (South Africa): Drafting Piping Instrument diagrams. Chiller & Filter section of refinery project.